Two accidents, which remained unexplained to this day, took place on two different days during the month of October 1974, during test flights commemorating the 26th Aeronautics and Space Week. On Wednesday the 23rd of that month, a Douglas A-4B “Skyhawk” fighter bomber, manned by Lt. Jose Van Deer, crashed in the vicinity of Maria Teresa to the south of Santa Fe Province. The pilot managed to activate his ejection seat, thus saving his life. According to information provided by a “duly identified person living in the city of Venado Tuerto”, a group of isolated witnesses claimed seeing a large object only moments before the accident. 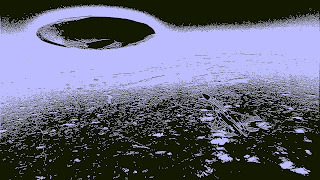 Even farmers herding their animals confirmed the presence of an airplane – a military one – that appeared to be escorted by an enormous ** metallic disk ** that vanished in a matter of seconds. In the light of this situation, military authorities commenced the pertinent investigations in order to ascertain what the witnesses had seen, and to the greatest extent possible, identify the “strange vehicle” that local residents had connected to the airplane accident. The unusual attitude taken by Lt. Van Deer is also curious. In his nervous phone conversation from the María Teresa train station, he employed such expressions as “mechanical difficulties brought about by magnetic phenomena.” There was talk among train station employees – based on information given by Van Deer himself, that within the cockpit, the entire airplane was magnetized. Some of the fragmented parts of the phone conversation between the pilot and members of the Argentinean Air Force was picked up by a yard control dispatcher at the Belgrano “Rosario Norte” Train Station. Utmost secrecy surrounded the event. However, as the witness had been ordered, he took great care not to disclose what he knew, yet weeks later, he was removed from service, abruptly and inexplicably. Next I shall describe the investigations of researcher Nicolás Ojeda, who donated all his files to our team. His painstaking work should not go unacknowledged. Linking a series of events are not enough to prove that tragedy did not play a role. Rather, there appears to have been an unknown factor that served as the cause and source of the victim’s physical disappearance. According to reliable witnesses, the pilot’s body vanished before it hit the waters of the Paraná River. The source of this information (which I wish to keep anonymous, for safety reasons) refused to identify himself publicly, but he is very well known to the author of this investigation. At his place of residence, he disclosed other key details which he promise to retell in a manuscript, which he did the other day, and which is in the possession of Nicolás Ojeda. Through family friends, it later became known that after the accident, the stepmother received a letter in the pilot’s own writing, telling her, among other things, that he was doing fine and would soon return. As can be imagined, the fact was reported to the aeronautical authorities. An investigation was undertaken, and by means of an expert graphologist, it was ascertained that the letter had been written by none other than Captain Isern himself. The accident occurred as a result of a turbine failure on the Douglas A-4B Isern was flying during tests before the Argentinean Air Force Day parade, which would take place in the vicinity of the Monument to the Flag. Aware of the failure, and hoping to avoid a catastrophe, such as would have occurred if the fighter fell over the city, Captain Isern pointed his vehicle toward the river, heading for the island area. He ejected from the cockpit before the fighter reached the coast. His parachute deployed immediately, but did not unfurl completely. The pilot apparently fell into the river ensnared by the chute. Official reports said he was dragged by the waters, from which he never emerged in spite of the intense searches conducted. He was seen to fall in the vicinity of Espinillo and some 300 meters from the shore. 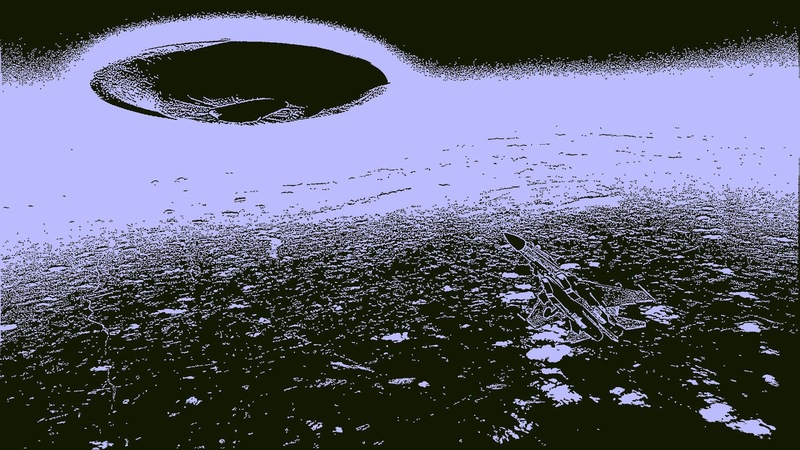 An imprint measuring 7 meters long, 0.80 meters wide and half a meter deep ending in a deep crater, showed the place where the fighter, now unmanned, had hit the ground, sliding to explosion. Captain Isern was a native of Rosario and was 30 years old at the time of the accident. He was married to Maria del Carmen Alvarez Conde. A considerable number of witnesses were at hand, and I have their names, but cannot release them without their consent. Each of them provided a statement claiming to have observed what happened clearly, but one of these accounts prompted Nicolás Ojeda to look more thoroughly into all the details. Following this incredible scene, the last thing he was able to see was the parachute sinking into the river’s waters, and nothing more. 1) I have not been the victim of an optical illusion. I know what I saw and what I witnessed. 3) To observe this, I made use of binoculars of the same type employed by the military. I decided to file away Captain Isern’s case for a while until I could obtain some element that would provide further proof. It is hard for me to understand that at the moment when the tragedy unfolded (according to a local radio station) a group of Douglas A4B’s from the Fifth Air Brigade at Villa Reynolds in San Luis – a total of 6 – flew straight toward a cloud formation. When the fighters reached the cloud, they began flying around it as though trying to find something inside it. After a few minutes, they finally decided to penetrate it, engaging in very risky maneuvers. Moments later, they gave up on these maneuvers and headed for the Paraná River in a single file. All that was in the sky at that moment was the cloud formation. I can assure that there are many more elements to be investigated. I have decided not to disclose them now, as they are sensitive and could compromise certain individuals. This is one of the cases that moved me deeply, and was of little interest to researchers. All I know is that I will follow up on some compelling clues, tracking down the addresses and names in my possession. May this case be remembered as a tribute to an Argentinean pilot, lest he be forgotten.